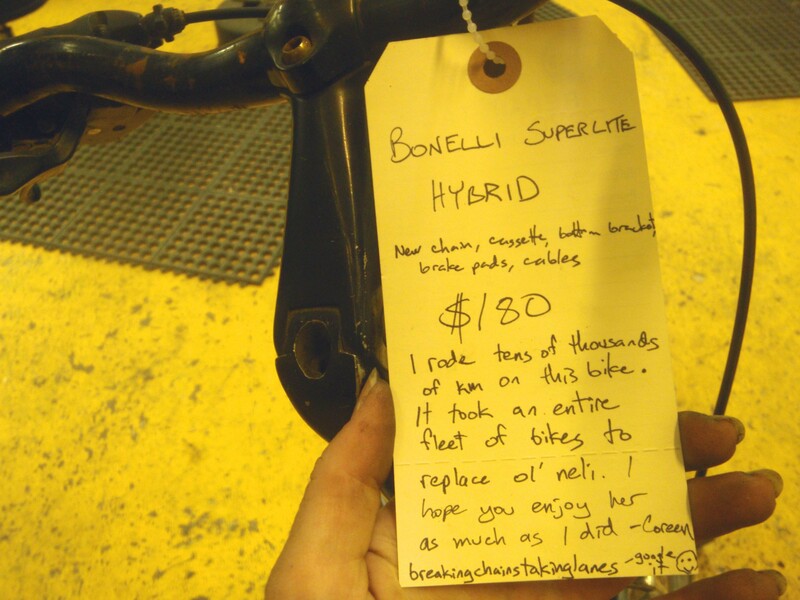 If you have read this blog since I began it 3 years ago, or have just read all the archived posts, you may remember a little bike called the Bonelli that really got around. It’s the bike in the banner picture of this blog but Bonelli hasn’t made an appearance for quite some time, mostly because I haven’t been riding her. Ol’ Neli, fresh from the basement. I’ve probably put more miles on this bike than any other I’ve ever owned. It was my only ride for years, and it was integral to me learning bike mechanics. The only original part on this bike is the left shifter, every other part, cable, bearing has been overhauled or replaced, often repeatedly, by my own hands. She got me through every possible situation, from winter ice to summer trails, and took all the abuse I could give. So, why haven’t I been riding her? Now that I have my own personal fleet of bikes, I have bikes that are specialized to do the things I used to do on Bonelli, only better, and more in synch with my personal style. 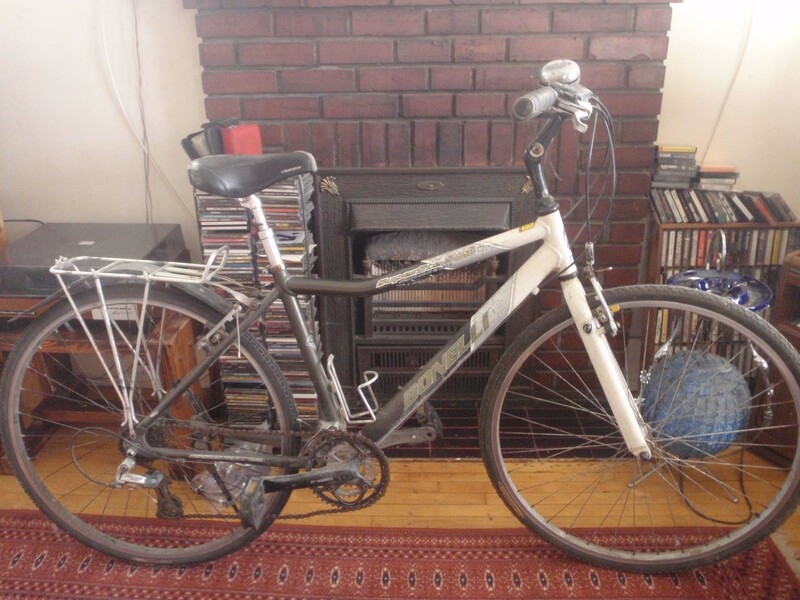 This is a super utilitarian bike, but I’ve come to expect more of my bikes – I need them to be useful, cool and unique, so given the choice, I always ended up choosing another one of my bikes, until eventually Bonelli ended up in the basement collecting cobwebs. 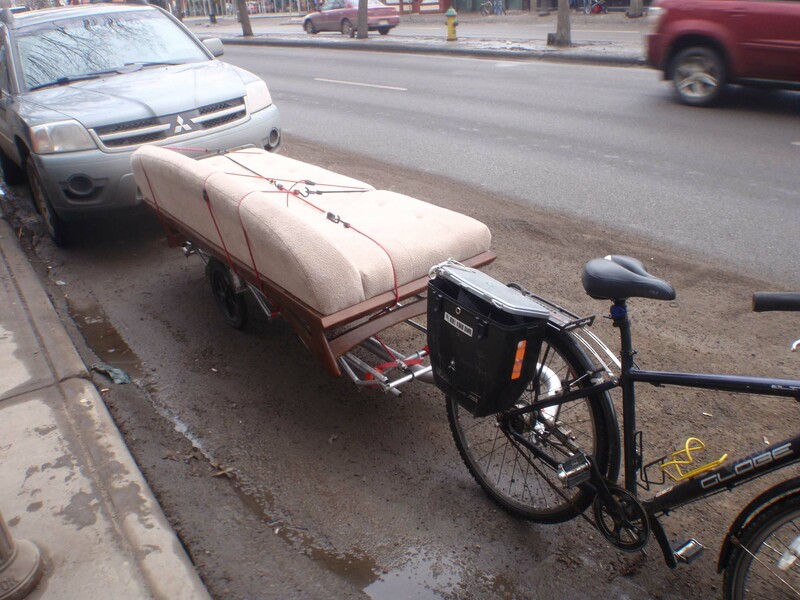 I don’t have infinite storage for bikes, though, so with the addition of yet another bike to the fleet (the Fixte), I decided it was time to find Ol’ Neli a new home. I brought her down to the local community bike shop, where Tim cleaned her up and I gave her a complete tune-up to get her ready for her new home. Now, she’s waiting for her new rider down at BikeWorks South. It’s a common pattern amongst I’ve seen amongst women who really get into cycling: start on a hybrid that can do anything, though nothing particularly well, and then move on to more specialized bikes as you get a better idea of what kind of cycling you like to do (which can, of course, change, like who knew I would’ve been riding fixed?) and begin exploring different challenges and riding experiences. Eventually, the hybrid becomes redundant and unneeded. I hope Bonelli finds a home with a bike commuter and gets put to work every day, because I know first hand that this bike is up for it. 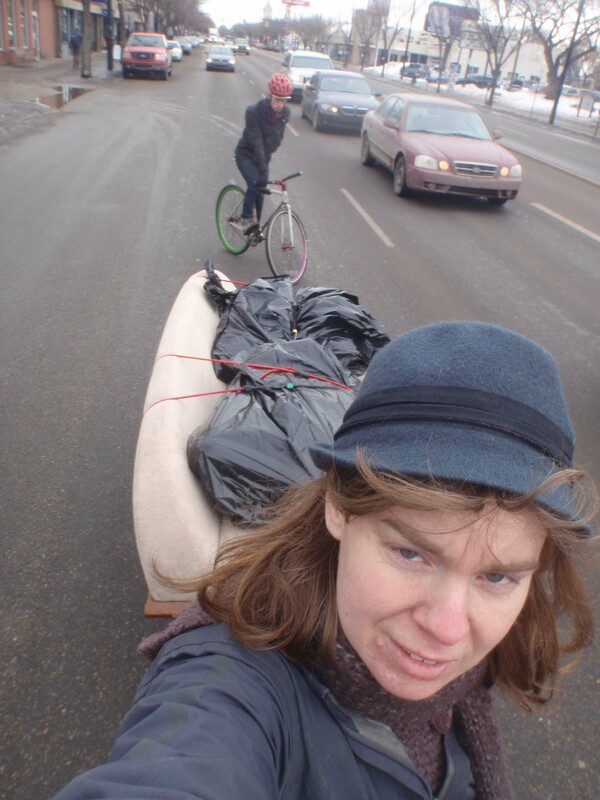 In the meantime, I learned how to ride fixed during the biggest snowfall all winter. A foot of fresh snow is good for two things: Canadian kickstands, and learning how to skid stop. I think I’ve caught a case of the fixie fixation. I’m having a blast on this bike, and am really enjoying how it challenges me in new ways physically and mentally. 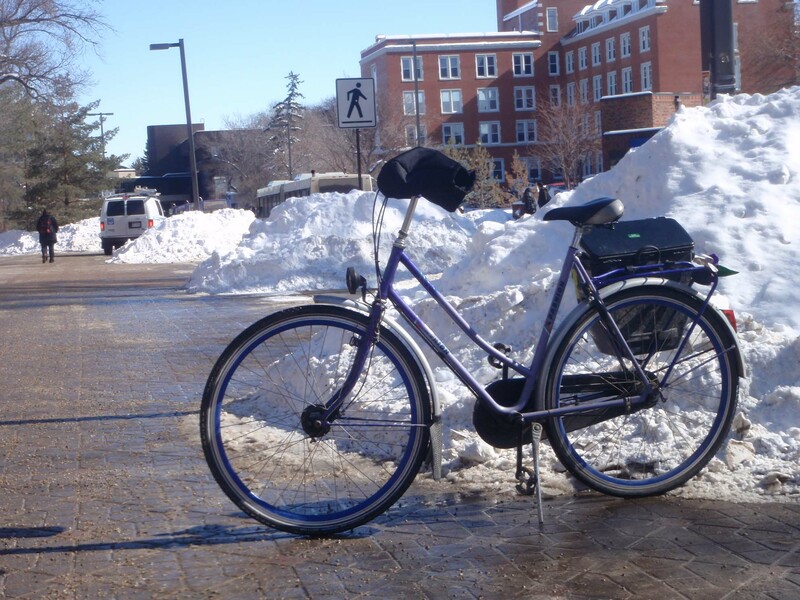 It’s also handled pretty well on the snow and ice – I’m glad I didn’t wait for better weather to start riding it. Too bad I can’t wait for better weather for decent bike parking. 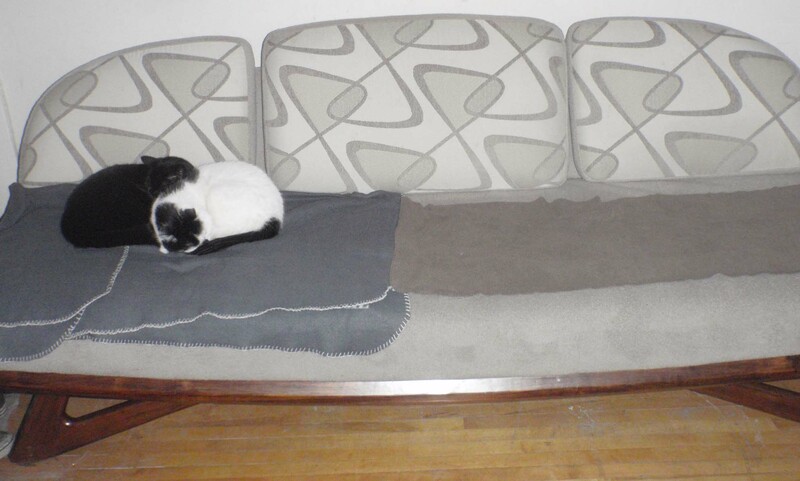 Here’s what’s going on in this picture. 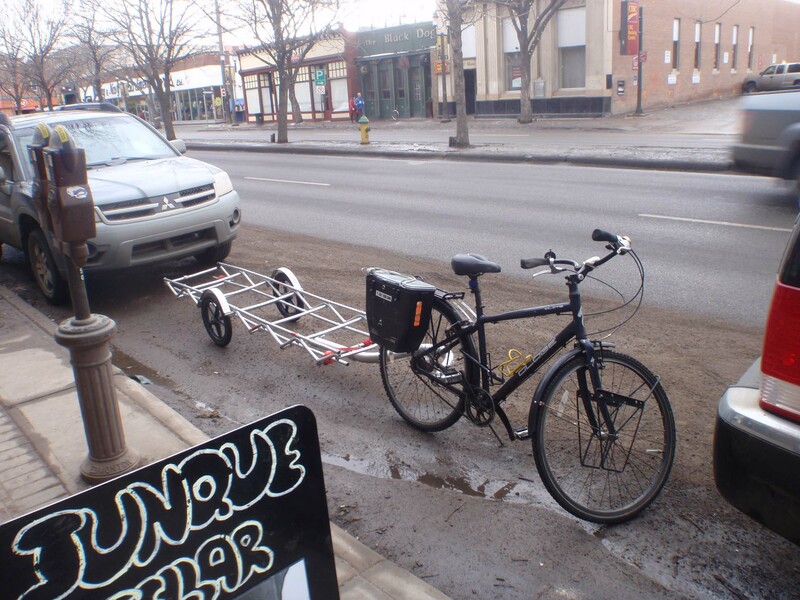 See the slant-lollipop style of bike rack? Of course not because it’s almost completely buried in snow. To lock up, I had to hike to the top of that show pile then lean over low to get the lock on the rack. 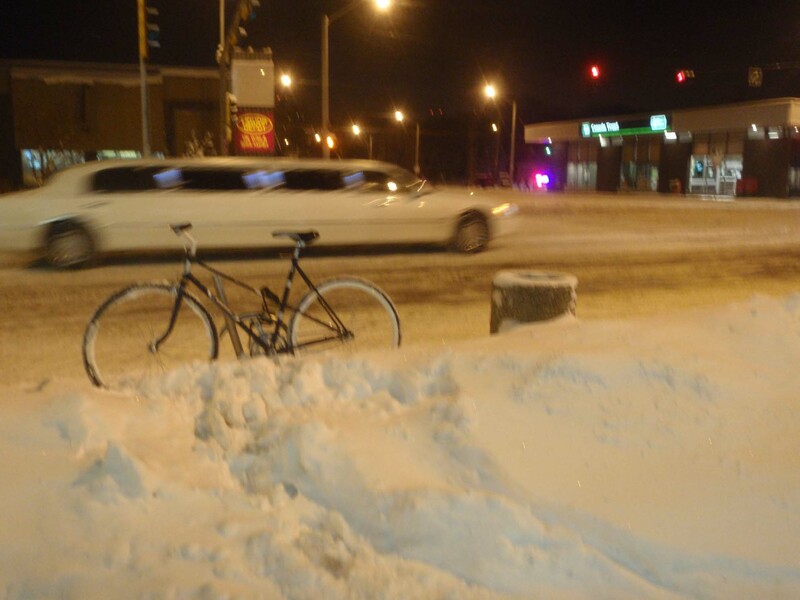 In the background, there is a limo and the cops. Because that’s who’s out on Whyte Ave in the middle of the night after the worst storm of the year: some limo, the cops, and me. 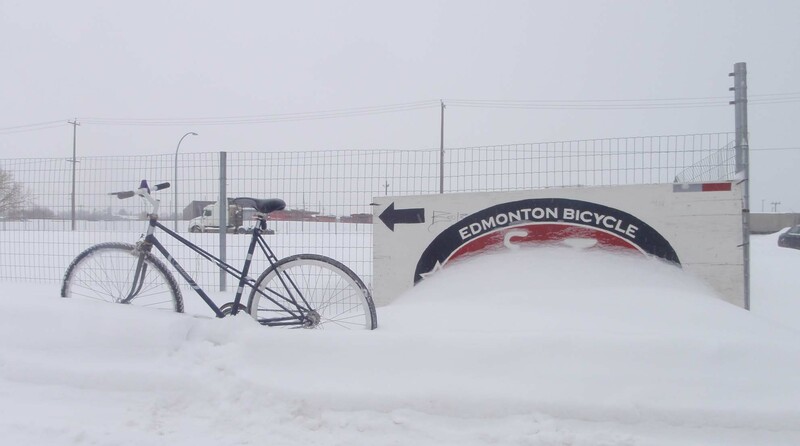 Because in Edmonton, “the first day of spring” is nothing more than a date on a calendar. 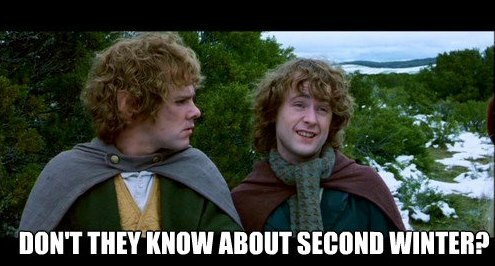 There have been 10 inches of snow in the past week, with more in the forecast. Oh well, at least it’s sunny right now. Before this week’ s snow, we’d been enjoying a bit of a mild streak, and I’d heard many speculating that this was an early spring. I suspect those folks haven’t lived in E-Ville for long, have a short memory, or have a rosy view of climate change. Pretty par for the course in March, I’d say. If you had told me 6 months ago that I would be building up a fixed gear, I would have laughed at you, but something (or should I say someone) has piqued my interest. And seeing his poetic flow of constant motion, whether accelerating past traffic or at a relatively pootling pace to stick with me on the Dutch bike, has made me curious in the ways of direct drive. So I decided I was going to build myself a fixie, but there was one condition. The frame had to be a mixte, so the bike could be called (with a nod to Sister Sprocket) the Mixte Fixie. 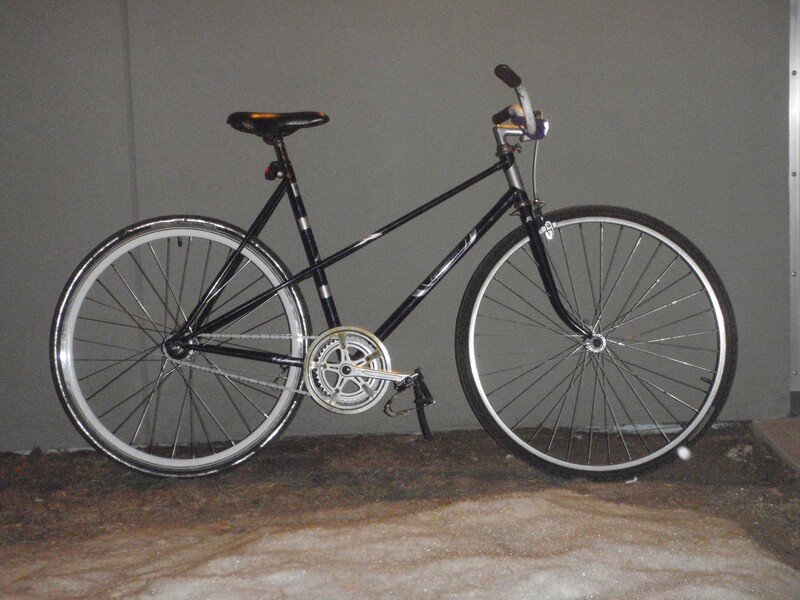 Presenting the Mixte Fixie. The front wheel is temporary. 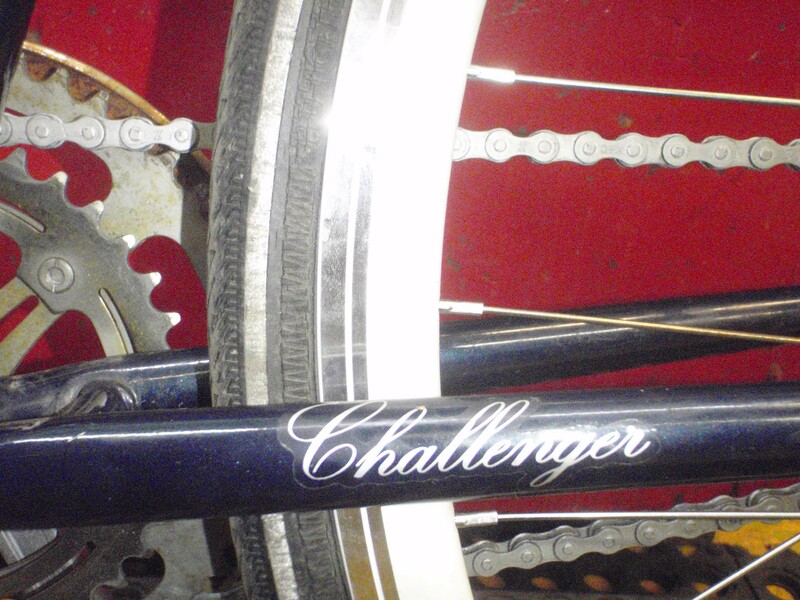 The frame is a Canadian made Raleigh Challenger that had been sitting out in the yard at EBC since at least last summer. The wheels and all the components were completely rusted, but the frame itself was in good shape. 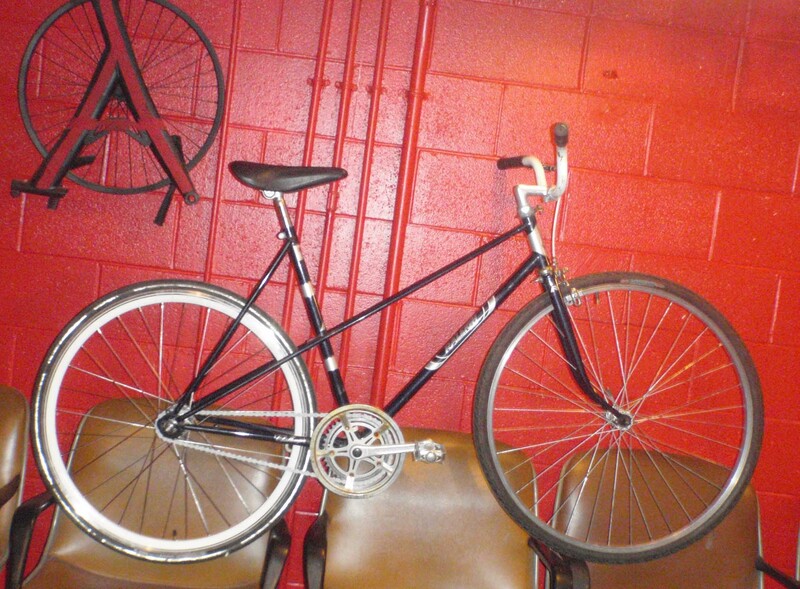 Plus, it’s as tall as a mixte gets, which is important for this taller than average lass. I built the rear wheel with an old school, unnamed track hub and white deep-V rims, and I have a rim to match for the front for as soon as I can find an appropriate high flange hub. I used one of the existing chainrings, not sure how permanent that will be, but the gear ratio and chain line were good, and the cranks are 165. The bike originally came with 27″ wheels, but the new wheels are slightly smaller 700C, so shorter cranks are a plus to help avoid the pedals bashing into the ground. 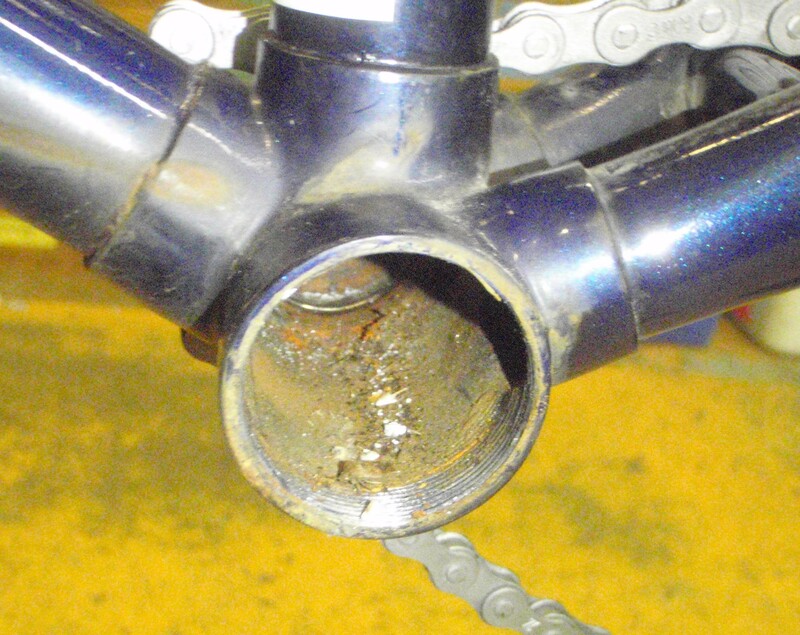 There’s animal, vegetable, and mineral in that there bottom bracket. I really wish I’d taken some “before” pictures of this bike, but the above pic of what I found in the bottom bracket will have to suffice. From the rust patterns on the components, it looks like the bottom bracket was partially filled with a rusty leafy buggy soup for some time. The original drop bars were solid rust, and the original wheels were on their way to matching, so it’s pretty cool that the frame itself is fine. 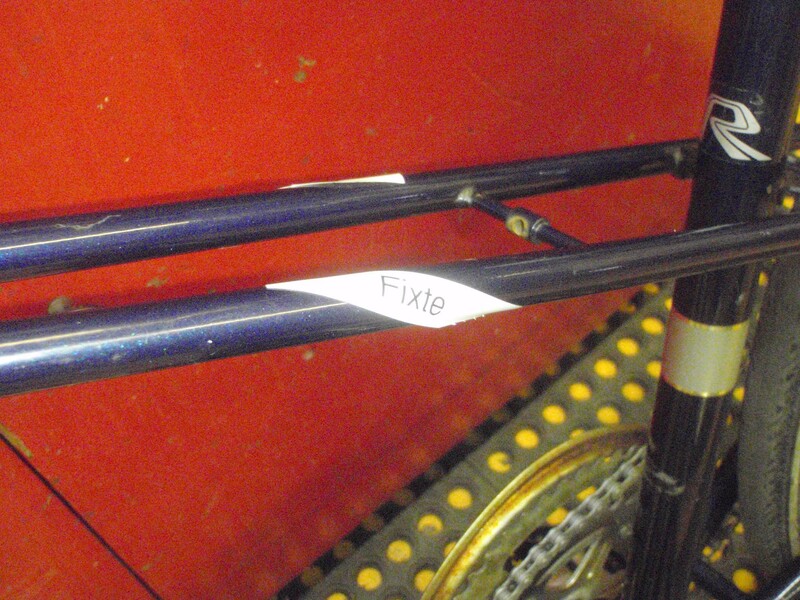 Looks like the Fixte label is sticking. With the bike rideable, I did tiny laps around the shop floor until I was dizzy, getting used to the toe straps and braking. My confidence increasing and my patience wearing out, I took it to the relatively clear streets as the first flakes of the latest snow storm came down. Dodging ice patches on the Fixte. After only a half hour ride, and despite the discomfort of activating some muscles I usually don’t use, I think I’m going to like this. Coasting is over-rated. Too bad that with 6 inches of snow in the last 24 hours, I have no idea when I’ll next be able to take it for a ride.